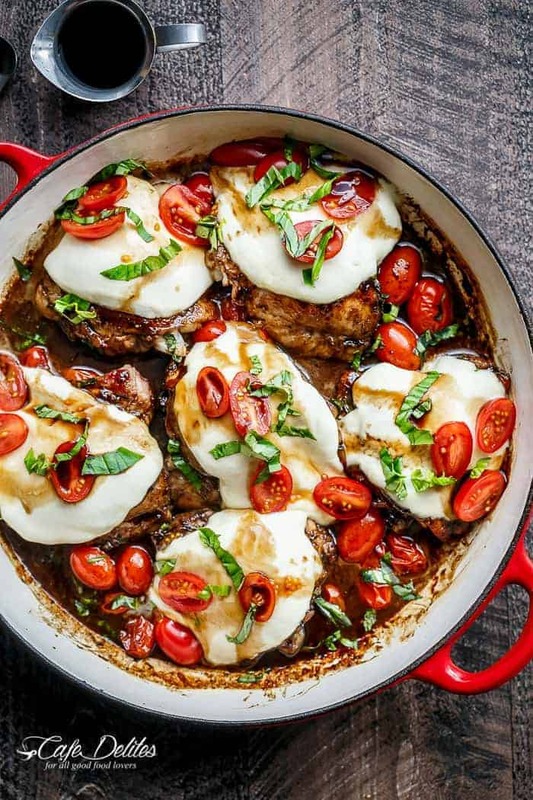 Baked Caprese Chicken Thighs cooked right in a sweet, garlic balsamic glaze with juicy cherry tomatoes, fresh basil and topped with melted mozzarella cheese! 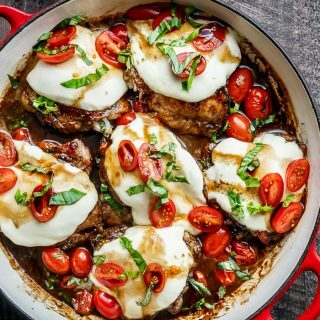 Caprese Chicken made over with juicy baked chicken thighs! Many Caprese Chicken recipes I have found over the last few months call for searing chicken with salt and pepper and adding vinegar right at the end. But, why? This recipe is different. 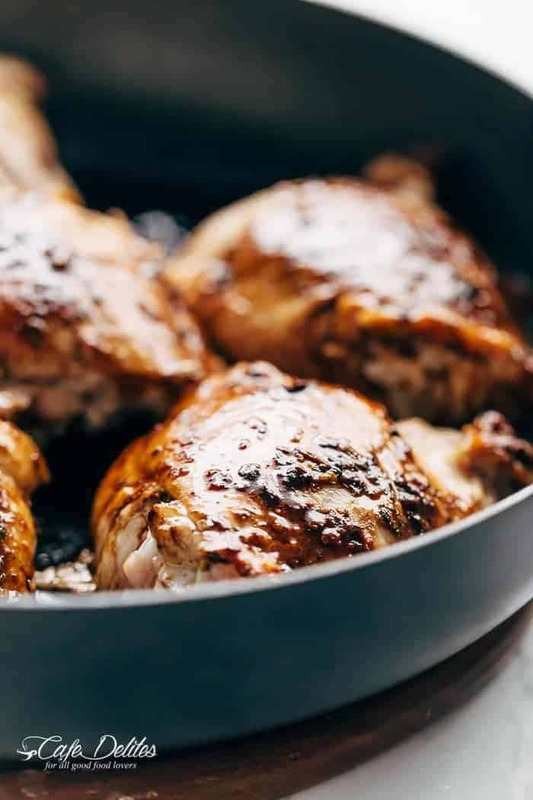 I love the amazing flavour of baked chicken thighs in a sweet balsamic gaze… it has to be the best of all baked chicken recipes. PLUS, adding mozzarella and basil into that mix? Well. A traditional simple and flavourful Italian appetiser, a Caprese Salad (Insalata Caprese) consists of ripe tomatoes, fresh mozzarella cheese and basil, drizzled with olive oil and seasoned with salt. 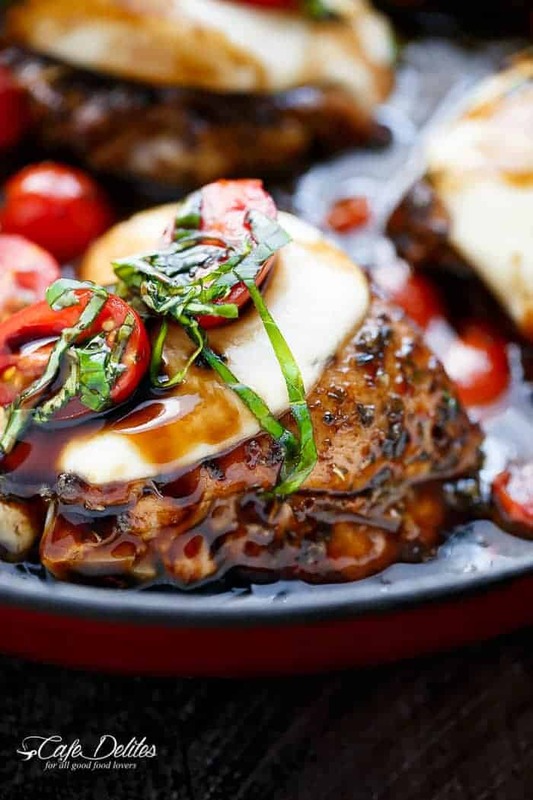 With this recipe, we are adding baked chicken thighs and a tonne of flavour. I hope you’re not getting sick of seeing Caprese around here. The Caprese Deep Dish Mini Pizzas and Caprese Frittata were so good. Not to mention those Caprese Stuffed Garlic Butter Portobellos. But it was time for chicken, and this Caprese recipe is SO EASY. One of the EASIEST and TASTIEST recipes on this whole entire blog. First, we sear our chicken in oregano and basil (or you can use Italian seasoning), salt and pepper, until golden on both sides. (It won’t be cooked through, but we finish cooking them in the oven). Next, fry the garlic until fragrant. Mmmmm, garlic smells. This is where all the flavour comes from. The sauce gets absorbed into the chicken as it cooks and creates the most amazing flavour. Stir both to combine well and allow to simmer until thickened. Don’t get your face close to the pan though. The strong smell can burn your eyes. Add the chicken back into the pan, rotating to coat in the glaze and place into the oven and continue baking in the oven until cooked through and succulent. Place your mozzarella slices on each thigh and bake in the oven for a further 5 minutes. So good you’ll want it straight out of the pan. And that SAUCE is extremely addicting! You have been warned. Top with shredded basil and a few fresh tomatoes and don’t forget to share it with whoever you’re cooking for. 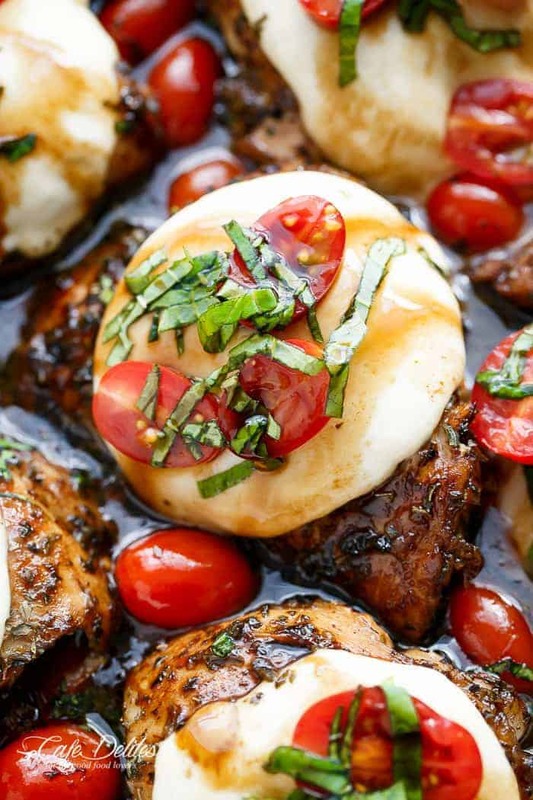 WATCH US MAKE Balsamic Glazed Caprese Chicken RIGHT HERE! Caprese Chicken cooked right in a sweet, garlic balsamic glaze with juicy cherry tomatoes, fresh basil and topped with melted mozzarella cheese! Preheat oven to 210°C | 410°F. Slice the remaining 1/2 cup tomatoes in half; place them on top of the cheese; pour over some of the balsamic sauce from the pan and garnish with basil. Serve immediately. *You can substitute oregano and basil for Italian seasoning or pizza topper if that is what you have on hand. **For my Australian followers, I find fresh Bocconcini in the deli section in Woolworths. I used 2 large balls, both 125 g each. You can use the smaller ones if that's all you can find. I just have to say this recipe has become a weekly staple for my boyfriend and I! We can’t get enough of how easy and delicious this is, however my basalmic glaze never seems to really thicken up, and I’m wondering what I’m doing wrong?? I had left the basalmic and brown Sugar in my pan for quite a while and let it bubble, however it’s not turning into that thick syrup like glaze I’m trying to achieve.. any tips?? Hi Sherry. Cooking this tomorrow. What do you recommend to serve with it? Great recipe, I wouldn’t change a thing. I came out great. One of my husbands new favorites. This was a delicious recipe. I was a little skeptical at first with the balsamic glaze but the chicken turned out very tender and moist. I’ll definitely keep it in my collection. OMG…..I made this last night. Can I say delish!!! i missed the “bone in” part and used boneless skinless chicken thighs. it still came out wonderful & i didn’t adjust the cooking times at all. I was so worried it wouldn’t taste as good as it smelled but it did!. everyone loved it and has been requesting I make it again and again. i can’t wait to try other Caprese recipes from this site! This is an amazing recipe. 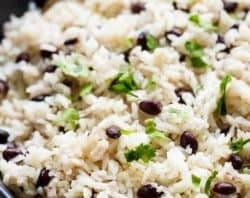 Great flavor and super easy to make. Will make again. Thanks for sharing. OMG… this is the best thing ever.. sweet.. tangy… I grow my own basil hydroponically, and it just make this dish sing even louder! LOVE it… LOVE IT.. LOVE IT, and so does everyone I’ve ever made it for? Way cool! That is awesome that you grow your own herbs. Thank you for sharing and following along with me! I am so glad that this chicken was more than you were expecting! There is a Facebook page that is using your photo and claiming they have the “paleo” recipe if you buy their book. I suggest reporting them, it’s called The Paleo Recipe Cookbook – Cheap and Easy. Oh thank you so much sweetheart! That is so kind of you! I will look into this and see what I can do. Thank you very much for your support and love! I really want to try this but my fiance doesn’t eat anything with a bone in it specially chicken. Can I use breast instead? If so how much (I’m in Australia) and what would I need to change time wise in the recipe? Yes, of course! You would need to cook it a bit longer! It will still taste fantastic! He will love this chicken! I cook just for myself so I heat up a lot of food. Mozzarella and balsamic glaze become solidified in the microwave! What’s the best way to heat this? Thanks! This looks so amazing and I can’t wait to try it! Do you have any thoughts on adding baby spinach toward the end, making it a complete meal? I’ve made this in the past and it was absolutely fantastic. Realized I didn’t have an oven proof pan so had to transfer to baking dish. 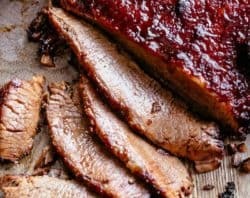 Has anyone made this with a cast iron pan? 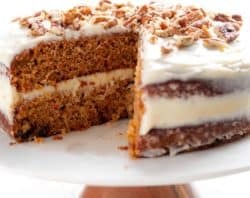 How did it turn out or do you have recommendations for using one with this recipe? This was really good! I followed the recipe exactly and the chicken turned out moist and really tasty. I did not do the extra glaze at the end, but next time I make this, I will. Zero complaints, and my entire family ate it, bonus points that it was a one pot dish. I served with asparagus and roasted root vegetables. So yummy! My boyfriend loved it and went back for seconds. Made this for my family and we loved it!!! Kristie I’m so happy to hear that! I made this tonight after seeing it posted an FB and it was DELICIOUS!!! My kids loved it too. A gem to add to the recipe binder. Thank you!! Based on reviews, I made this tonight for the first time for guests!! It was fabulous! I can’t remember a time when everyone raved about chicken. Thanks so much for this recipe. It will definitely be in my rotation. I made this last night and husband couldn’t get enough of it!! TRULY AMAZING! DELICIOUS AND SO EASY TO MAKE! This will definitely go into the “must have” meals to make! Thank you!! Is this a sweet tasting chicken? I really want to try it but don’t like sweet chicken. Or is there a substitute for the brown sugar that will make it more savory than sweet?? Thanks! Karina, this recipe is WONDERFUL – truly “restaurant quality!” I started by sauteeing white and baby bella mushrooms in garlic and herbs, then set them aside while cooking the chicken. 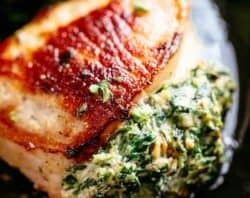 I used breasts, TRIPLED the glaze, and after the chicken was cooked through returned them to the pan along with the cut tomatoes and let the flavors simmer and meld together – HEAVEN! Dill mashed potatoes and Italian green beans rounded out the meal, and my husband insists this now be in our regular meal rotation. Thank you for sharing this – 5 STARS!!! Linda, it says in the directions 410 deg F for approx 30 minutes. I’m not a skilled cook so most recipes take me a couple of attempts to master, but I nailed this one on the first try. The tomatoes were SO GOOD after soaking up the balsamic while in the oven and my husband raved about this dish! Absolutely can’t wait to make it again. Thank you for this amazing recipe! Found the link to this recipe via Facebook and decided to give it a try when I came home from work. The amount of flavor is amazing! Definitely making this again! What often temp and for how long? Thanks. Can’t wait to try it. The best ever chicken! 10 thumbs up! I’m on weight watchers, made a few adjustments (in the amount of oil and cheese) and it was a delicious 7 pt. meal that my entire family enjoyed! The BEST! So delicious thank you Karina! Hi Karina, I have a bottle of balsamic glaze on hand. Can I use that? OMG!! 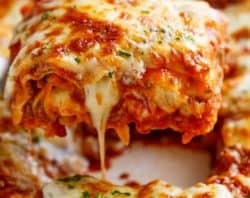 So delicious and really easy to make…I didn’t use the mozzarella…will post a pic the next time I make it, which is going to be very soon. I’m so happy to hear that Christine! What would youbserve this neal with? 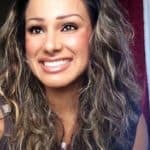 Hi Trish! I love this with mashed potatoes! Pasta is good too, as is rice. I used chicken breasts (because that’s what I had on hand) and this was fantastic! Came together fast enough for a weeknight dinner, but it’s tasty enough for company. Thank you for a delicious recipe! Oh my yummy goodness! This is definitely in my family’s top 5 favs! Absolutely delish. Followed recipe exact except I used chicken breasts. Thank you! My family loved this recipe. It was so tasty. Will do it again for sure. 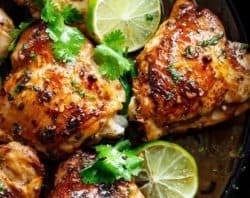 Would this recipe work with chicken breasts? How much shorter would the cooking time be? Thank you! Hi Sherry. Yes it will! You don’t need to oven bake them if using breasts. Just continue cooking in the balsamic glaze (a further 5-7 minutes after browning first) until cooked through!